This may never be more true than in 2016 in the Fifty States. I’ve given some thought to looting when this story popped up. Looting the world? Popular Science has an interesting article about the new display, dug out of the earth in Argentina and now in New York City’s “American Museum of Natural History.” It is the skeleton cast of the 70-ton Titanosaur. Titanosaurus is, I admit, just a wee bit older than her or her campaign to become president, but I can’t resist the comparison! Fascinating though it is, and grand as the display of Titanosaur is, to me it is another example of colonial-style looting of the world’s treasures by the powerful. It is the same thing that has happened with the various ancient civilization’s treasures from Greece, Egypt, and Mesopotamia, which now grace the halls of museums in Germany, Russia, France, and Britain. And it is the same thing that is happening to treasures of the Western States, from Tyrannosaurus Rex “Sue” (stolen with government help from a museum in the Black Hills and now in Chicago), to artifacts from Anasazi ruins in Colorado and New Mexico now housed in DC and New York and Chicago. This kind of abuse of power is on-going, even as efforts have been made to repatriate some artifacts and even some bodies back to their homes; government and powerful allies of government (like the museum in NYC) continue to loot the world because they can. Judge Andrew Napolitano, in AntiWar.com discussed the TWO FBI investigations on-going about her illegal actions. 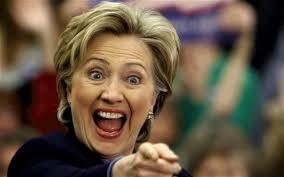 I’ve spoken to several people who are absolutely certain that the FBI director will take vengeance on her, charge her so that she will be tried and convicted, and thus end her political ambitions once and for all, so that either Bernie or Uncle Joe will be the Dem candidate for POTUS this year, and… the republic will be restored. Gag! Barf! I think it highly unlikely that this woman will ever even be indicted, and the chances of a successful prosecution are exactly ZERO. Political influence and power far outrules any legal or moral issues. To me, the major question is how many more political and REAL deaths will result. Mark my words, this woman is dangerous. 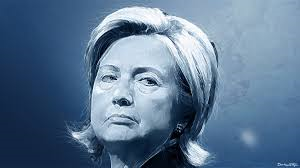 She is not just looking at being elected to continue the looting she and hubby did for eight years in office, and which she apparently continued through their foundation while in the Senate and as Secretary of State, but she is almost certainly PAYING for her election campaign with loot, either already stolen or to be stolen to profit her backers. And of course, she learned even more from the experts (honed in the cauldron of Chicago gangsterism and politics). Judicial Watch reported on the first of January that the squatter and his family have cost taxpayers more than $70 million dollars just in vacation travel expenses, NOT counting the 2015 vacation to Hawai’i. It is the cherry on the frosting of the cake, though, as we know that TRILLIONS have been siphoned off for various things in the past seven years alone. A story in the WaPo Wonkblog from November reports that civil forfeiture “transferred” more wealth than regular (non-governmental) robbery and burglary in 2014; more than $5 billion versus less than $4 billion. George Will and Laissez Faire state that happened again in 2015. But $5 or $10 billion here and there is chump change compared to the TRILLIONS stolen each year by all the various governments through taxes and fees and fines. In the Fifty States, you cannot separate looting from politics, or looting from government. No wonder “private” foundations and the upper class see nothing wrong in doing it. This entry was posted in Commentary on the News, Nathan's Rants and tagged artifacts, civil forfeiture, Clinton, dinosaurs, H L Mencken, looting, museums, Obama, Politics 2016, Theft by government, vacations. Bookmark the permalink. She may be evil but she is the lesser of two evils. Trump truly is an antichrist. Everything about him is against the gospel. Out of alien vs predator choose the predator, because aliens can’t be reasoned with. I choose not to choose ANY evil. Evil in any form cannot be reasoned with.